Dad found a new job at Whiting’s Dairy, which meant we could move to a nice house on Center Point Road. It had a few more rooms, and the best part of all was the indoor toilet. Bobby and I were so excited that we pretended to go potty just so we could flush, causing Mom to say more than once, “You kids stop flushing that thing.” With an indoor toilet, our future looked good. Moving to a new place meant I had to change schools, and walking to Garfield Elementary took longer than walking to Lincoln. But, it was an easy walk on sidewalks, with no gravel roads to fall down on and no confusing corners to turn. I couldn’t get lost going to the new school. The only problem was that I usually had to go to the bathroom before I got home, so I often wet my pants. She sighed like all the air was coming out of her. I was worried that some smart kid in kindergarten who knew how to read might rip it off my blouse and tell everyone I had a small bladder. And I didn’t want Mrs. Martin to guess that I wet my pants every day after school. I always tried really hard to hold it, but after walking several blocks, my urge to pee was too strong to ignore. 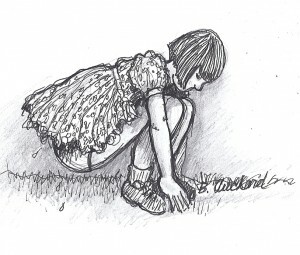 The first time, there wasn’t a good place to relieve myself, so the only thing I could do was squat down and pretend I was tying my shoe and just let it go. I was shocked at the big puddle on the sidewalk. 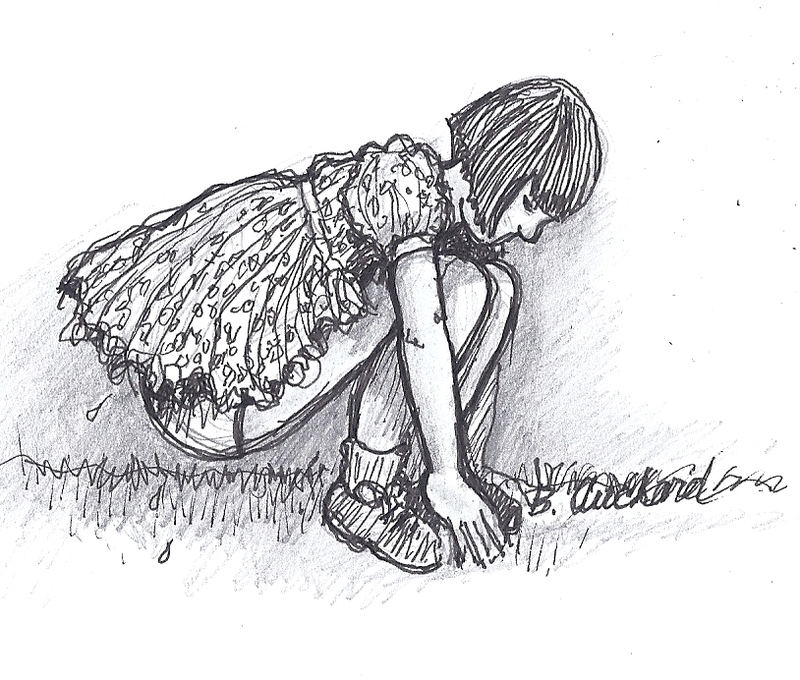 From then on I pretended to tie my shoe on the grass — and never on the same lawn twice. When I reached our house, my legs, socks, and shoes were usually soaked. Mama didn’t ask; she just waited for me to tell her whether I was wet or dry. It was kind of like doing the weather report. I wasn’t lying. I never had to go to the bathroom until I was halfway home. Besides, none of the other kids had to use the toilet after school and I didn’t want to be the only one. I really dreaded that long walk. I wet my pants after school every day for the rest of the year. But before first grade started, I had it under control. Mama said it was because my bladder had finally grown up to match my body. I was so relieved. My teacher wouldn’t have to ask that embarrassing question anymore, and my mother was happy again. Our move to Center Point Road was finally perfect. Buy the e-book or audiobook now. Hardcover available from the author at events.